*** Great News Dubai City Tours has earned a Trip Advisor 2013 Certificate of Excellence. This prestigious award, which places Dubai Tours in the top-performing 10% of all businesses worldwide. We do offer also Egypt Tours. Abu Dhabi is the largest of the seven Emirates and the Federal capital of the United Arab Emirates. A well planned modern city with several high-rise buildings, impressive palaces, beautiful corniches and architectural mosques. Capacity 450 pax & Length 50.1mtr breadth 8.1mtr height 6.3mtr. Our tour guide will pick you up from your hotel in Dubai by air conditioned van for cruising at the Dubai Marina channel with Dubai Marina on one side and the Jumeirah Beach Residence’s on the other side . 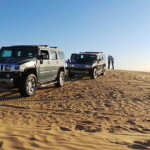 Tour starts in the morning our guide and driver will meet you at your hotel to start your Dubai Morning Desert Safari, you will drive into the heart of the desert to enjoy the desert skimming over the magnificent Sand Dunes. Amidst all the fun and action we stop for pictures. Dune Buggy Safaris in Dubai are a new version of off-road exploration. Feel the adrenaline rush as the guide leads you through the challenging sand dunes during this desert safari in Dubai. After experiencing the Dubai. Travel across the desert by 4WD to go sandboarding on Dubai’s sand dunes. No trip to Dubai is complete without at least one exciting slide down a sand dune! Our guide will pick you up from your hotel in Dubai to start your Burj Khalifa Day Tour, you should be at the Burj Khalifa Entrance at Dubai Mall 15 minutes before your preferred timing. Burj ul Arab hotel Dubai is built in the most beautiful area of the Dubai as the tallest atrium of the world. Al Iwan is located just close to the fabulous golden columns and adjacent to the lobby fountain. Al Iwan is the best Iconic Burj al Arab dining avenue. Afternoon tea at Burj Al Arab is a unique experience when you are in Dubai and Sahn Eddar is the best Burj Al Arab high tea venue to have your evening tea. Our tour guide will pick you up from your hotel in Dubai to start your Atlantis Aqua venture, Aqua venture Water park is overflowing with 42 fun-filled acres for all ages. Our tour guide will pick you up from your hotel in Dubai to start your Dubai Iceland Waterpark Day Tour; The Iceland Water Park comes as the first offering of WOWRAK, a 120 acre family entertainment destination being developed in the Emirate of Ras AlKhaimah, 80kms north of Dubai. we go past desert scenery and past the oasis town of Dahid and onwards through a mountain terrain. Wild Wadi offers attractive rates and packages for 10 guests and above. Minimum group size: 30 , Maximum group size to: 75. Sample Lunch Menu on Traditional Non-AC Dhow : Green Salad, Hommous, Live Fish BBQ, Chicken Fry or Chicken Curry, Macroni. as well as on the Water. Timing : 10:00 to 22:00 Duration: 30 mins. Pickup : Please choose your preferred timing. Supplement for lunch (USD$40.00) per person. Cruise Full Day with lunch, Distance & Driving Time: 2 to 2.5 Hours from Sharjah/Dubai. Border Crossing (subject to change): No immigration passport stamping. UAE Transit / Tourist / Visit Visa holders can participate.